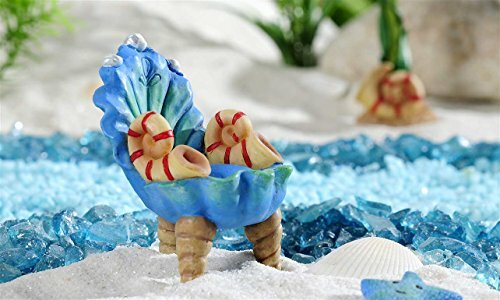 A precious miniature seashell chair designed as a clam shell seat with various seashell types as arms and legs! It's a seat fit for a mermaid princess! Create a magical seaside world with all the wonder of the ocean in a miniature garden to enjoy everyday! Create a tropical beach garden scene!